FAIRFIELD — Fairfield residents Lauren and Steven Field will host “A Night Out for a Cure,” the third annual live music fundraising event to benefit the Diabetes Research Institute (DRI), a non-profit organization dedicated to finding a cure for Type 1 Diabetes (T1D), on Friday, June 7 at 8 p.m. This is the first year they have hosted the fundraiser at The Warehouse at the Fairfield Theatre Company, after selling out the last two years at a smaller venue. The Alpaca Gnomes, a local rock/folk band that performs covers and original music, will perform for the third year in a row. The event will also include an open bar, Bridgeport’s Fire Engine Pizza Co.’s food truck and a silent auction offering a wide range of coveted items and experiences donated from local businesses and families. Tickets cost $100 and are now available at nightoutforacure.org. 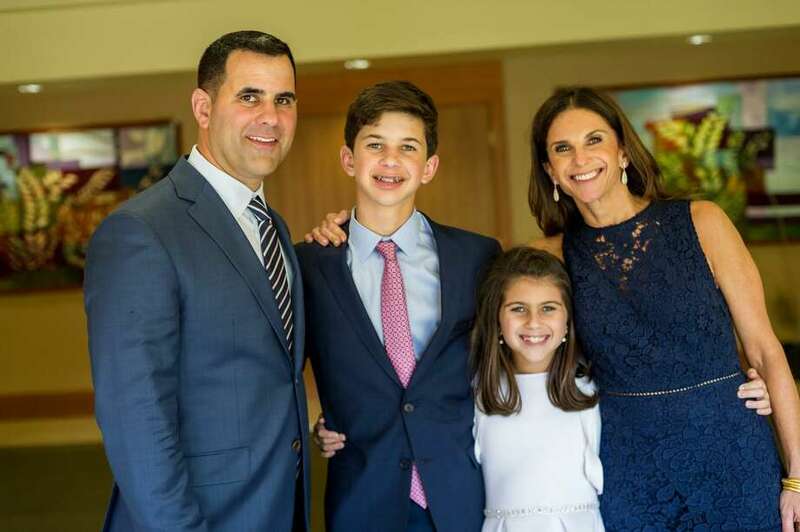 Since Lauren and Steve Field’s son Aaron, 14, was diagnosed with T1D (formerly known as Juvenile Diabetes) when he was in first grade, they have been actively raising money to find a cure for this life-consuming disease affecting approximately 1.25 million Americans. T1D is an autoimmune disease that occurs when one’s pancreas stops producing insulin, the hormone that controls blood-sugar levels. T1D is less common than the more widely known Type 2 Diabetes, as approximately only five percent of people with diabetes have Type 1, according to the Centers for Disease Control and Prevention (CDC). A study funded by the CDC and the National Institutes of Health (NIH), found that from 2002 to 2012, the rate of new diagnosed cases of type 1 diabetes in youth increased by about 1.8 percent each year. On the outside, Aaron is like any other teenager: he spends his summer at sleepaway camp, plays multiple sports year-round, and even played on the U13 Israeli National Lacrosse Team last summer at the World Series of Youth Lacrosse in Denver. The DRI leads the world in cure-focused diabetes research. As one of the largest and most comprehensive research centers dedicated to curing diabetes, the DRI is aggressively working to develop a biological cure by restoring natural insulin production and normalizing blood sugar levels without imposing other risks. The auction will include dozens of prizes and experiences ranging from $50 to $5,000. The majority of lots include items donated by generous local businesses and residents. The auction includes a range of items in a variety of categories, such as lunch for six at Food Network’s Test Kitchen (one of the most difficult reservations to get in New York); a villa at Walt Disney World in Orlando, Florida; signed sports memorabilia; signed artwork; beauty, health and spa services; fashion and jewelry; dinners at local restaurants; tennis lessons and personal training; in-home wine tasting; and tickets to performances. To buy tickets or donate, please visit nightoutforacure.org and follow the event page on Facebook. The Warehouse at The Fairfield Theatre Company is located at 70 Sanford Street in Fairfield. The event starts at 8 p.m. and ends at midnight.